Just In! 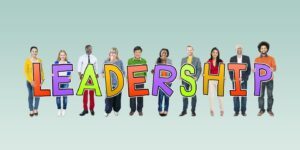 Build Leadership Skills at Every Level to Build a Better Business - Take Charge Inc. Leadership must be developed and practiced by employees at all levels of an organization in order to create meaningful work and organizational results*. When you provide opportunities for people to develop leadership skills and exercise leadership you get the most from managers and employees alike, achieve strategic goals, fulfill people’s career aspirations and lay the groundwork for identifying and developing future leaders. Leaders are made, not born; leadership is not innate. What are you doing to enable everybody at every level to lead? “Dis-own” Decision-Making: Resist the temptation to give people the right answers whey they are faced with work-related decisions. Instead ask them the kinds of questions that prompt them to figure out what to do on their own. S T R E T C H People: On-the-job experience is the best teacher. Don’t wait until people are ready for more responsibility. Instead of picking the most qualified person for an assignment, pick the right developmental assignment for the person. When you do, pay attention – reinforce progress and provide constructive feedback when they need help. Assess First and Act Quickly: It is no secret that effective leaders are crucial for the long-term success of your organization. Conduct a merciless assessment of your aspiring and current leaders to identify any skill gaps. Then, provide “just-in-time” lessons in micro-bits of time to teach the missing skills. Act now to determine whether your supervisors and managers have the skill needed to lead … click here for a free 3-minute assessment that will help you pinpoint where to focus improvement efforts.